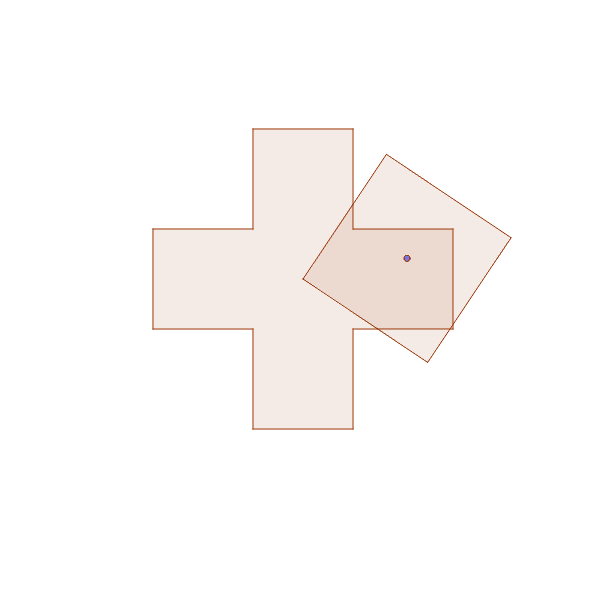 Claim: The area of the overlapped regions between the square and the cross is always one quarter of the area of the cross. Can you prove this true or false? Try dragging the point around to see what happens.